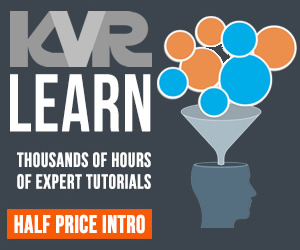 Welcome to the 2011 KVR NAMM Report. First, some good news - NAMM had more energy than the last two years. They reported 90,114 registered attendees, a 3% from last year and a new attendance record for the 109-year-old show. A good sign of economic recovery in the musical instrument industry and greater booth traffic was reported by all the participants we talked to. There was a higher ratio of international distributors (to US retailers) especially in the technology area. Although mail order is strong in the US more and more developers are just using mail order or going direct. You don’t have to hold Komplete 7 or Predator in your hands to make a buying decision. There were only a few new plug-ins. This is not surprising when the costs of maintaining them over several formats on two (and sometimes three) platforms are so high. Several of the largest plug-in companies were either not there or had reduced presence. The most notable thing of the show was the massive spread of iPads and iPad solutions, which is nothing short of amazing. In one year Apple has done an incredible thing seeding the market with these cool little devices and music developers have embraced it in a big way. Companies that were showing iOS devices and apps in their booth ranged from the biggest players like Yamaha, to established plug-in vendors like IK Multimedia, to brand new companies like Agile Partners. It’s an amazing accomplishment even by Apple’s lofty standards and we extend our best wishes to Steve Jobs and his family and hope for a speedy recovery. The world has been a more interesting place because of his presence in it. There is a convergence occurring within the industry as more software companies are making hardware and more of the traditional hardware manufacturers are making software. This has been happening for some time of course, but the introduction of the iOS has accelerated it because the playing field is leveled. It will be interesting to see what Apple does over time in this new category. Hall E opens early. It’s a bit off the beaten music technology track and mostly populated by companies that are new to the show. Buried among a multitude of acoustic instruments, woodworking machines, and Asian manufacturers looking for distribution partners are always some interesting new technologies. 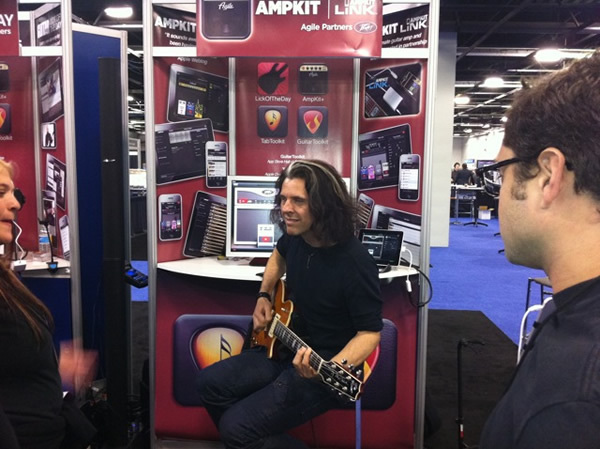 This year NAMM set up a new area for mobile apps and game developers. There were only a few companies represented, but I suspect that number will increase next year. 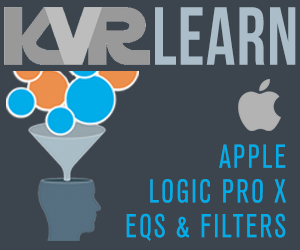 No company has done more to promote the iOS category than IK Multimedia. If you have seen Apple’s iPad ad that features the Amplitube screen shot you can not help but be impressed with their efforts to make it a serious musical instrument. They were showing several applications as well as their new iRig Mic ($59.99), which is the only hand held microphone available for iOS devices. It will ship in February with IK’s new Vocal Live app, which has a number of features including pitch correction and harmonization. Among several other things they announced that they have extended their partnership with Fender onto the iOS platform with Amplitube Fender for iPhone/iPod/iPad. The new app offers 5 Fender amp models — the ’65 Deluxe Reverb, the Super-Sonic, the ’65 Twin Reverb, the ’59 Bassman LTD and the Pro Junior. AmpliTube Fender for iPhone/iPod/iPad costs $14.99. AmpliTube 2 for iPhone or iPad users will be able to add AmpliTube Fender stomp box and amplifier models as individual in-app purchases for only $4.99 per amp, $2.99 per stomp box, or $14.99 for the entire bundle. Finally, IK was showing a preview of the Amplitube Custom Shop. It’s an amp modeler and commerce system designed to allow users of Amplitube to purchase the particular components they want. When a customer purchases the product they receive some number of credits that can be used to buy various effects and amp models. Also in the iPad world, Sonoma Wireworks has a new 24-bit iOS interface called the GuitarJack that connects through the iPhone or iPad dataport. Sample buffer size is 256 minimum so there is a bit of latency as with all these products, but you can deal with it. It’s not cheap at $149, but if you can hear the crosstalk when you plug a guitar into the mic/phones I/O on an iPad it’s the only thing out there. Cakewalk was showing Sonar X1 in the Roland Booth. The new version of Cakewalk’s DAW program was actually released in December. They describe is as a “re-imagining” of the application that has already been around for close to ten years. It has a totally new graphic interface. The new windowing is especially flexible for people with multiple monitors. 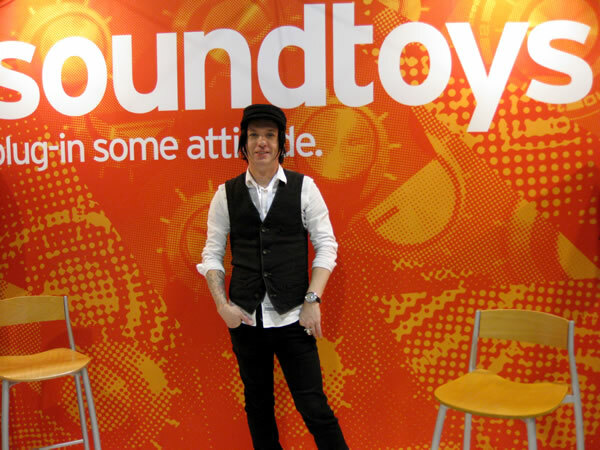 Sound Toys was showing a new series of artist pre-sets from people like guitarist Steve Stevens and Tchad Blake (known for aggressive mix techniques) for their family of plug-ins. I particularly like Echo Boy, which is a multi echo based on models of a whole range of echo devices from tape delays to Space Echo and beyond. They make plug-ins with deep functionally presented in a simple way to keep the complexity out of the way unless someone really wants it. PSP Audioware was showing PSP N2O, their new version of the PSP Nitro plug-in, another favorite. It’s a complete rewrite and 64-bit like most PSP products. 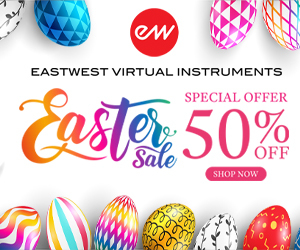 It has up to four sound processing operators at a time (morphing resonant and formant filters, EQ, delay, reverb, pitch-shifter, compressor/expander, bitcrusher, distortion, full-wave rectifier, etc.) and up to four modulators at a time (LFO, envelope detector, ADSR step sequencer). N20 has a lot of interesting uses for triggering creativity. Arturia continues their adventures in hardware with Analog Experience The Laboratory. 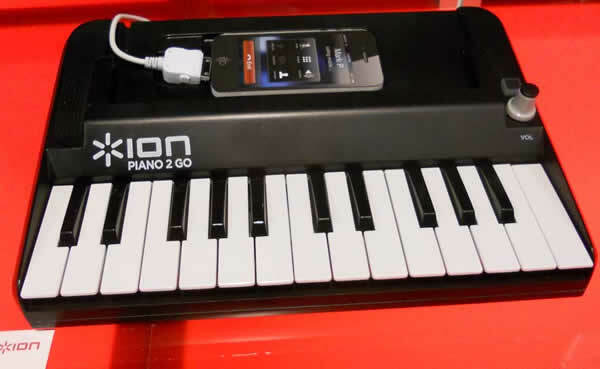 The MIDI keyboard is a top-notch controller for any Hardware and Software and gives the fullest access to Analog Laboratory software. The enclosed software is Arturia's most advanced version in the Analog series. 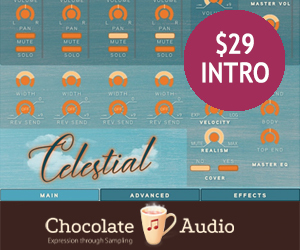 It offers a new depth of access to the synth patches and the possibility to customize the impressive library of well-designed presets. A new scene mode allows several sounds to be played at the same time with the addition of arpeggiation melodies, drums and FX loops. The Analog Experience The Laboratory is priced at $399 and will be available at the end of March. BIAS was showing Peak Studio LE, including SoundSoap PL for noise reduction and audio restoration (Great for ripping your old LPs). Peak LE 7 has a new waveform editing view in the playlist and there are a bunch of their plug-ins bundled. Peak Studio LE will be available Q1 2011, at a price of $129. BIAS was one of the first companies with a professional audio application for the iOS. It's called iProRecorder and it's been really helpful for me. I have already used it to record several interviews and it works very nicely with Peak when you want to edit your recordings. How can you go wrong at $4.99. FXpansion was showing their new application Geist ($249), which is available now. This is an incredible drum machine, sampler, beat slicer, step or real time sequencer all in one. It runs as a plug-in (AU, VST, RTAS) or standalone. It is well designed and as deep as you can imagine from the previous sentence. We'll have more about this soon because it is deserving of an extensive look. Novation has announced Automap 3.8, which will be available shortly. 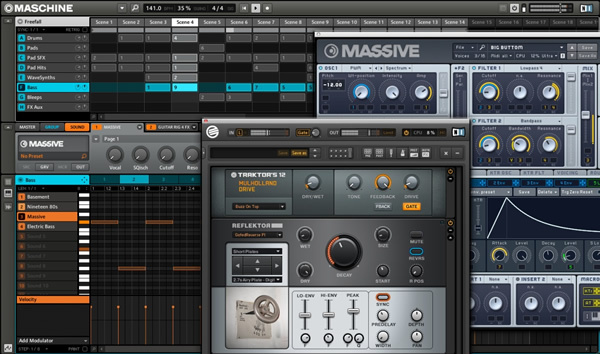 Among other things it is totally integrated with the Waves software bundles. And guess what…! There’s Automap for the iOS too. Focusrite has made a commitment to the new Audio Video Bridging (AVB) protocol, which has some of the networking and consumer electronics biggest players behind it. AVB is especially interesting because it is built on Ethernet and scales from consumer electronics to professional recording studios and even automobiles. It intends to solve many of the problems people experience with networked audio. When you have AVB enabled devices on an AVB network they identify themselves. You can set a master cloak and have guaranteed bandwidth. This will solve many of the latency, synchronization, complexity, and cost issues that plague current networked audio solutions. They have introduced a series of audio network boxes collectively called RedNet that are based on the Dante technology from Australia based Audinate. Dante is non-proprietary, meaning it will work with any ASIO or Core Audio compliant DAW software, including ProTools 9, Logic and Nuendo. The immediate use for AVB is in live sound applications, but it will find its way into recording studios in the next few years as it is adopted by software and hardware makers. Avid was demonstrating Pro Tools 9. As everyone should know by now the Pro Tools software is no longer tied to Avid hardware. It’s a big move for them and has been extremely well received by the industry. 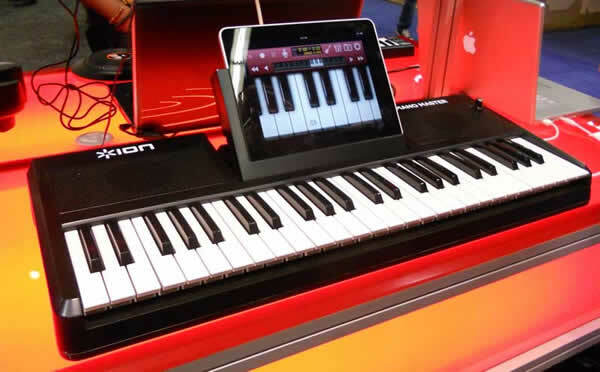 M-Audio released a new hardware synthesizer called the Venom. We’ll look forward to a chance to check it out. MOTU was doing a technology preview of Mach V 3 and in their booth. It will ship some time in 2011 and pricing has not been announced. 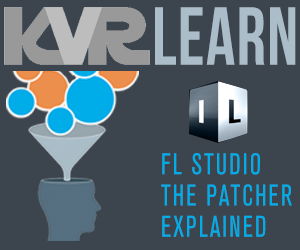 It’s based on the third generation of the UVI engine, which is already at the core of their Ethno 2 and BPM products. The new scripting feature in Mach V 3 will allow features like a Telecaster guitar sample with a 120 layers. Every string on every single fret plucked up and down is sampled. As a fan of Ethno I’ll be looking forward to it. It was also exciting to see that both Ethno and Electric Keys are now supported on the Receptor 2 from Muse Research & Development. This has been a long time coming and will be great for people that want to use these plugins live. Muse R&D was also introducing the Receptor 2+, the latest speed and storage bump for this product. Big Fish was showing a new Kontakt-based virtual instrument called Rig Urban Workstation that is the result of input from a number of LA based hip hop and R&B producers. Not just a drum loop it is an intuitive workstation. It has over 150 instruments as well as beat slicing, randomization, and arpeggiation. It will ship in Winter 2011 (I guess that means in the next few months) and costs $199.95. Although previously announced NAMM was the first show that Big Fish has demonstrated Voxos, which is their new premium Choir plug-in. 35GB (over 35,000 samples) of voices recorded beautifully at the Bastyr Chapel. It lists for $999. Finally with increased Internet bandwidth into homes and studios Big Fish is happy to report that their sample loop library business has gone through the roof selling through retail kiosks and directly to customers. They had nine new sample libraries and many more on the way of course. Information about them can be found here. Ilio is also the US distributor for Spectrasonics, Vienna Symphonic Library, Applied Acoustics, Overloud, and Synthogy. These are premium brands and a nice testament to Mark Hiskey’s sense of quality. 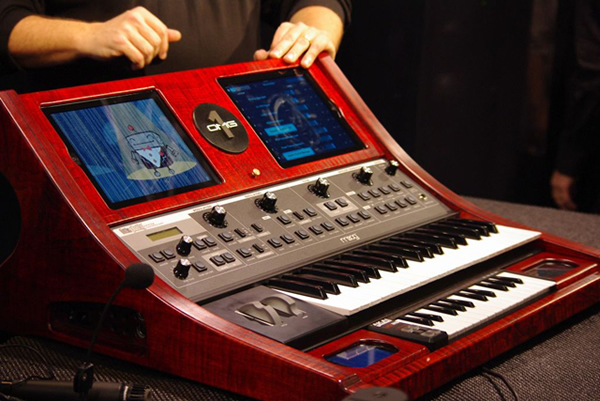 Applied Acoustics was introducing a new set of presets called the Sound Bank Series for their different synthesizers. The big deal is that one doesn’t need to own the related synth plug-ins to play the sounds. There is no editing, but a bunch of cool sounds. The various Sound Banks cost $39 each and they are available now. There is a free sampler of the sounds called Swatches, which is available at applied-acoustics.com. Like several other companies their plug-ins are 64-bit on the Windows platform, but not 64-bit on the Mac yet. Numark/Akai/Alesis has made the biggest hardware commitment to a series of mobile Apple products that are designed to integrate. 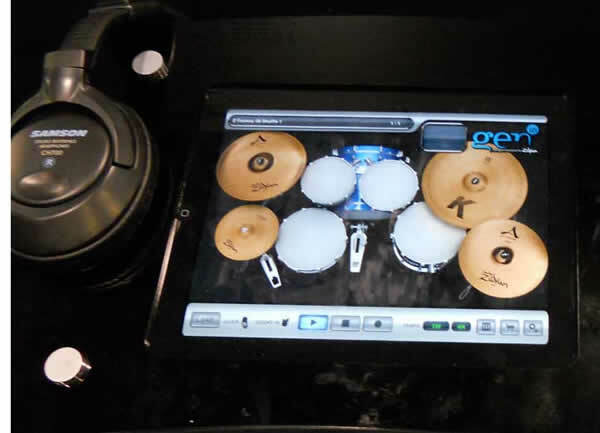 Even traditional cymbal maker Zildjian has entered the software business with an iPad app called Gen16. If you were aware of the history of the company (founded in 1623! ), you can appreciate the commitment it takes to get into the software business. 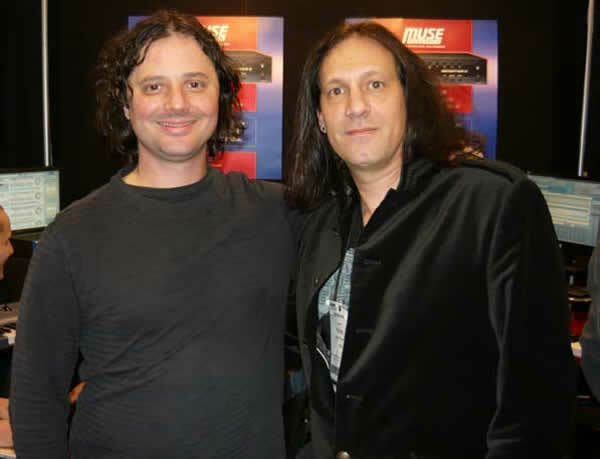 They have started on the right foot by working with top drum sound designer John Emrich. If you had the energy to hike all the way to the drum area you would have seen the Gen16 running. 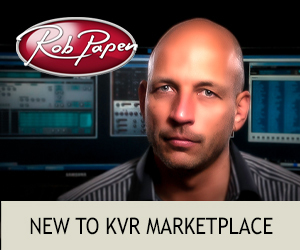 One of the few new plug-ins was Rob Papen was showing his Punch plug-in. He has finally gotten around to doing a drum machine after doing the rest of the band with RG, SubBoomBass and Predator. Fans of his products will easily understand the UI. 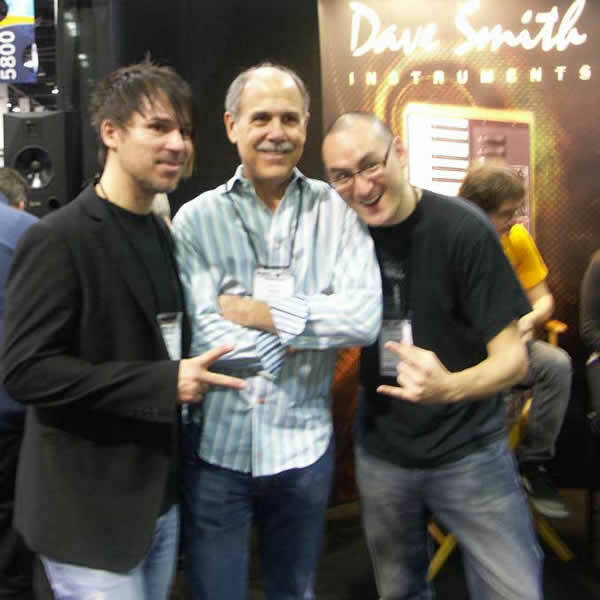 It’s hard to hear anything on the NAMM floor, but what I did hear sounded very good. I hope he will get it onto his website soon so people can check it out in more detail. There were too many people at the Steinberg and Waves booths to get a proper demo so we will be following up with them soon. 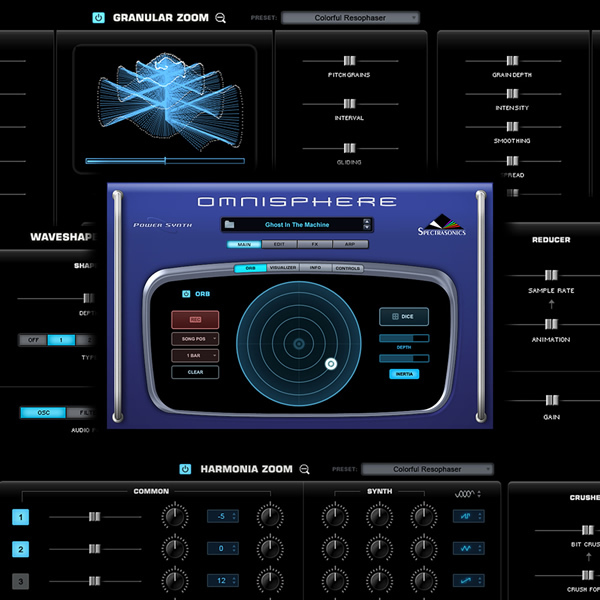 And wouldn’t you know it, the ideal control surface for Omnisphere’s new ‘Orb’ is the multi-touch interface of the simultaneously announced “Omni TR” iPad app. The only OMG-1 in the world will be given away as part of an event that will start in March. We’ll have more on that soon. For guitar players the most interesting product was the Kemper Profiling Amplifier. It’s a personal modeling system, which “captures the sonic DNA of virtually any guitar amp” You can record in one studio and take the same sound to another. The demo was very impressive. They say it will be available in Q2, but it does not have a price yet. Native Instruments did not have a booth at the show, but they were wandering around in numbers. They have announced the public beta of Maschine 1.6, which is scheduled for release on the 24th of January. 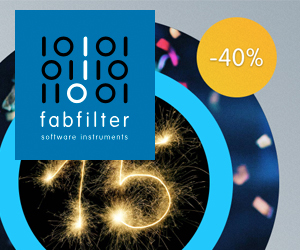 It is a free upgrade for registered Maschine customers. Maschine 1.6 will be able to host VST/AU instruments and effects (both NI's own and Third Party). Instrument plug-ins can be used in any sound channel, and effect plug-ins can be inserted on both the sound and group channels as well as on the master. VST integration has been the most requested feature so their customers (I am pleased to be one) will be happy. That's all for now folks. 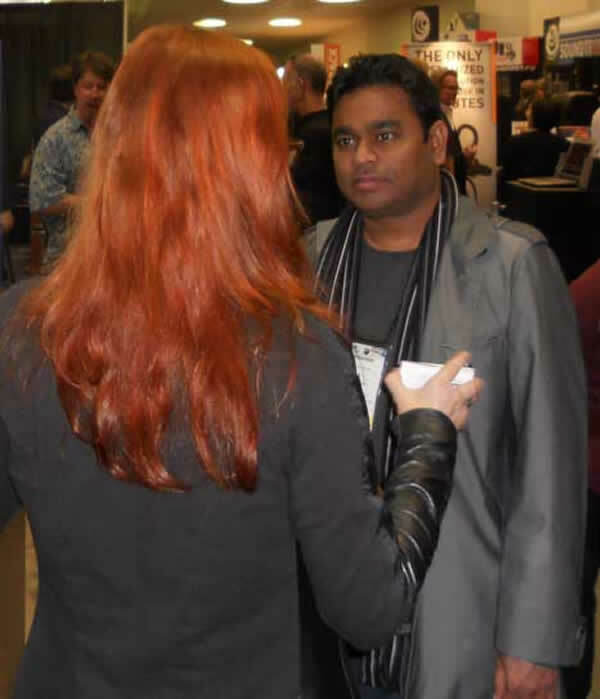 I will look forward to more new stuff and more of the same at the Frankfurt MusikMesse April 6-9.